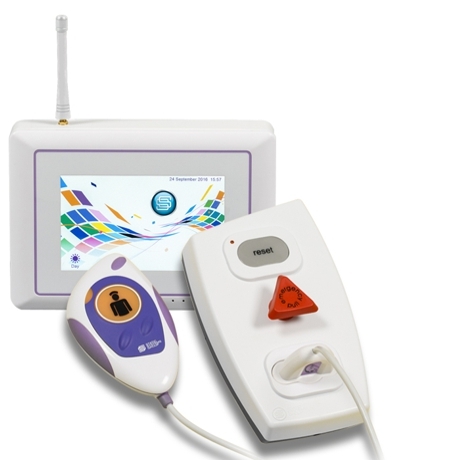 SmartSync Lite™ is supplied as a complete ‘wireless’ nurse call system in a box and serving up to 20 beds. It is ideal for smaller installations that require standard nurse call functionality. Alternatively, the solution can be used as a temporary system during phased upgrade works or as emergency back-up for a hospital’s existing nurse call provision. SmartSync Lite™ uses exactly the same equipment as Static’s market-leading Aspire SmartSync® System. Teams opting to use SmartSync Lite™ as a permanent solution can easily add on additional staff indicators and call points, incorporate enhanced functionality to help with task management and connect to a LAN. tel: 01902 891 044 or contact one of our area account managers.